How Beale Street Got Those Eye-popping ColorsBarry Jenkins’s cinematographer and colorist break down exactly how they managed to create the film’s feast of gorgeous shades. 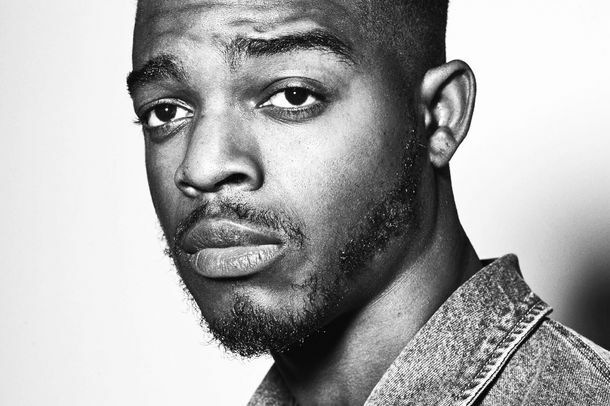 Barry Jenkins and Stephan James on Beale Street’s Most Devastating SceneIf Beale Street Could Talk quietly observes two black men talking through their trauma. How Barry Jenkins Brought the Experience of Reading James Baldwin to the ScreenThe Moonlight director on the challenges and rewards of adapting If Beale Street Could Talk. Barry Jenkins Says His Favorite Scene in Beale Street Is the ‘Simple Sh*t’It’s a blink-and-you’ll-miss-it moment. James Baldwin Kept a List of His Dream Cast for a Beale Street MovieWith potential directors, too. If Beale Street Could Talk Trailer: Love, InterruptedIn select theaters November 30. Barry Jenkins to Direct Every Episode of Amazon’s Underground RailroadThe Colson Whitehead adaptation has been officially ordered to series. 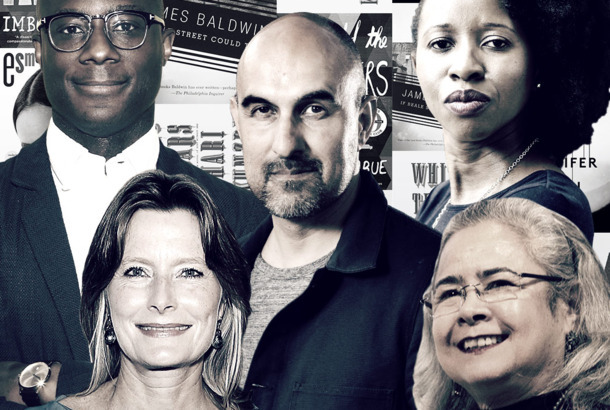 Help Us Pick This Summer’s Must-Read BookVulture and the NYC Mayor’s Office present the 2018 One Book, One New York nominees. Here’s What Barry Jenkins Would Have Said at the Oscars, If Given the ChanceJenkins was a keynote speaker at SXSW. Barry Jenkins to Direct Chadwick Boseman in 1970s Thriller ExpatriateBoseman also co-wrote the script. Barry Jenkins to Direct Adaptation of James Baldwin’s If Beale Street Could TalkHe has the blessing of the Baldwin estate. Moonlight’s Barry Jenkins on the Best Picture Fallout, Where He Keeps His OscarPlus, his undying love for Isabelle Huppert. If You’re in Miami-Dade County, Take the Street Now Named in Honor of MoonlightMoonlight Way runs past Liberty City’s African Heritage Cultural Arts Center. Dear Barry Jenkins and Isabelle Huppert: Please Make a Movie Together AlreadyThe Moonlight director and Elle actress are mutual fans. Don’t Let the Best Picture Debacle Overshadow Moonlight’s Great WinBarry Jenkins’s winner represents exactly what film should be. Reminder: Barry Jenkins’s First Movie Is Currently Streaming on NetflixThere’s no better movie to watch after Moonlight’s shocking Oscar win. Barry Jenkins Still Doesn’t Know What Caused the Best Picture Mix-upThe Academy has not yet given him an explanation of the Best Picture mix-up. Here’s the Moonlight Soundtrack Remix You Didn’t Know You NeededPurple Moonlight gives the film’s songs the “chopped and screwed” treatment. Okay Batfleck, We’ve Found Your Next Director: Damien ChazelleLa La Land director Damien Chazelle is perfectly suited to give a little jazz-infused TLC to Batfleck. 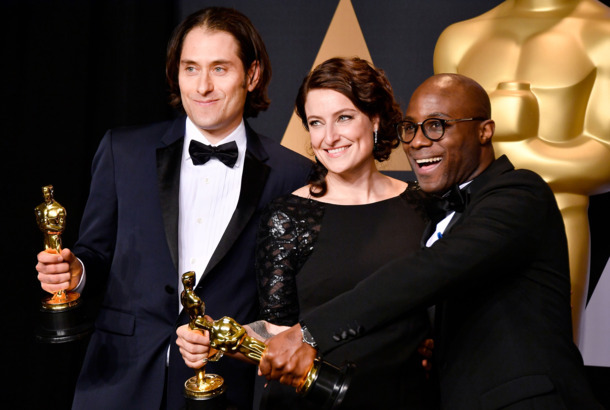 Meet the College Friends Who Helped Make MoonlightBarry Jenkins got by with a little help from his friends — who happen to be married, and didn’t know him as well as they thought before they made Moonlight. Moonlight and the Desire to See Men Kiss OnscreenWhat the film gives us (and doesn’t) in its ending. Moonlight’s Barry Jenkins on Directing One of the Best Films of the YearThe up-and-coming director talks sexuality, masculinity, and why he can’t watch his own movie. The Wonderful Moonlight Is a Moody, Gentle Story of Identity in 3 ActsThe film is so delicate in its touch that the usual superlatives sound unusually shrill. In Moonlight, One Part Leads to 3 Breakout PerformancesA group of young actors share the spotlight (and a character) in a potential Academy Awards contender. Watch the Trailer for Barry Jenkins’s MoonlightLife isn’t simple in the moonlight.